Following my previous article about Korean immigration to Germany , I had a chance to interview three of the the first Korean immigrants during the 60’s. Kim-Morris Soonim , Shu Eui Ok and Miss Song moved to Germany during the ’60s and ’70s, initially to work as nurses. 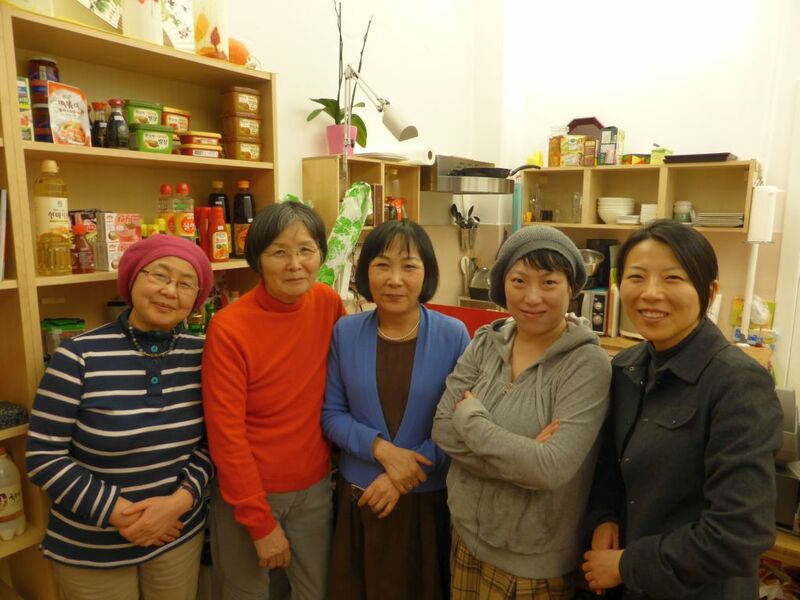 During their life in Germany they have got involved in women rights association and have opened the restaurant Core. How was the change of country? Which differences did you find? Which were the challenges? Shu Eui Ok: the most difficult challenges were the communication problem and the cultural differences. When we moved to Germany we paid attention on how to behave and we were cautious to adjust to German culture and not to cause any cultural misunderstanding. We didn’t want ourselves to look ridiculous. We came here because of the difficult economic situation of Korea during the ’60s. At that time Korea was a very poor country. V: How difficult was to integrate? Shu Eui Ok: I have been here for forty years, and it took more than twenty years for feeling really integrated. Only in the last ten years I started to fell that Berlin is my home and that I am not an alien, since I have decided to stay here permanently. V: Do Korean immigrants ever think of moving back to Korea at some point? Have you ever though of going back? Miss Song: It depends on the personal situation and experience. 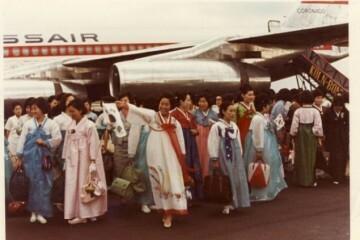 Shu Eui Ok: I believe that in general, many Korean immigrants always thought about going back to Korea. People had packed suitcase ready for going back whenever they decided. They rarely invest in houses, furniture and so on because there is often the feeling that staying in Germany is temporary. Miss Song: It’s the case of Korean couples who moved here because of work. Different case if the couple are German/Korean couples, they rarely think of moving to Korea. V: How did you meet each other? Shu Eui Ok: In May 18th 1980 (Gwanju uprising) a big demonstration against dictatorship in Korea took place in Gwanju and the protest was brutally repressed by police and more than 200 people died. That news shocked us. It was coming from our homeland! Korean women living here spontaneously gathered and tried to support the uprising. We tried to get media attention and created a press release to inform people about the situation in Korea. That was the start of our Korean women association. Kim-Morris Soonim: It was a massacre. I was shocked and I felt kind of guilty being here, being safe, enjoying our lives while people risked theirs. So we decided to help and to do something against this military regime. At that time we met each other and organized political activities together. V: Until when you worked as nurses? Shu Eui Ok: I worked until 60 years old and then I studied to become an acupuncturist. V: How did you decide to start a restaurant together (question for Kim-Morris and Shu)? Shu Eui Ok: We worked as nurses together for long, first in an hospital and later as visiting nurses. There is another friend (Mrs Kim) who was working with us as nurse and is now also collaborating in the restaurant. Kim-Morris Soonim: At first we didn’t plan to open a restaurant. 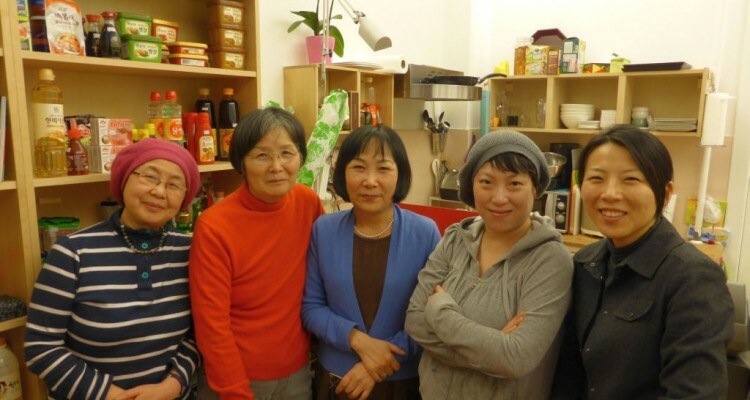 We knew a person who came here and opened a Korean restaurant in Berlin near Prenzlauer Berg, but his business wasn’t successful and for this reason he couldn’t bring his family to Germany. He then decide to go back to Korea and offered us to take over the restaurant. At that time we thought that even if we didn’t have much money, It would have been a good thing to do to help him to reunite with his family. For this reasons myself, Shu and other two people decided to take ownership of the restaurant together, even though we didn’t have any experience in hospitality business. All we had was knowledge about Korean home food cuisine based on our daily life back in Korea. It took time to learn how to run this kind of business. V: How did you come up with the menu? Was it based on your memories? 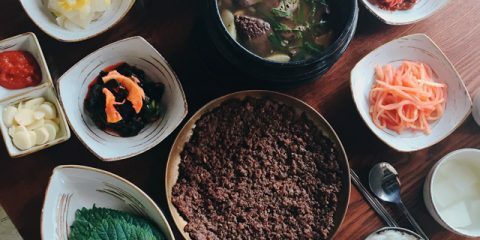 Shu Eui Ok: We tried to create a menu as close as possible as to home food we remembered and liked. It was risky, but we discussed together and we came up with a menu we all agreed upon that included our favorites dishes. We thought this food could be universally appreciated. One day Kim-Morris had a joke which was “Once retired, we should open a gukbapjjip” (국밥집 small bistro serving only one dish, 국밥 soup with rice. Ed.). We couldn’t imagine that we would open a restaurant some time later! Consequently the situation evolved naturally and we open the restaurant. Our first idea for the menu was the seollonttang (ox bone soup served with rice. Ed.). We prepared the broth for the dish and cooked the broth for 5 days before serving it. In this way the broth has deep, real taste and very nutritious. We didn’t use any chemical or MSG, but most of people was used to artificial flavoring so it took time to bring customers to our restaurant and educate them to real, healthy food without additives. The customers started recognizing the value and healthiness of the dishes and we created a regular customers base. V: did you have to adapt the original recipes to local taste? Kim-Morris Soonim: No, we didn’t. We offered food as we have eaten in Korea. V: Did you educate German customers to Korean food? Kim-Morris Soonim: I guess so. 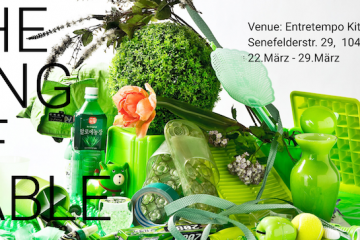 For example, German only use spinach for soups but in Korea we use it for soups, salads, banchan (side dishes) and this was new to them and they loved it. Time flew by and since I had limited time for the interview, we had to wrap it up. It was great to meet the three seongsenim and I am glad they shared with me their experience and their ideas. 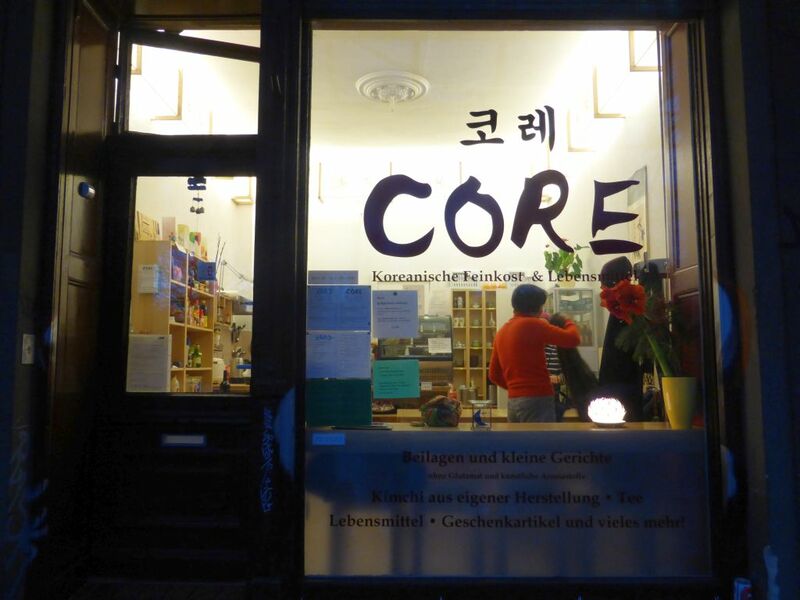 Their restaurant “Core – Kreuzberg” is located in Erkelemzdamm 45, Berlin ( U8, U3 Kottbusser Tor). Healthy home made food using only fresh and seasonal ingredients.